When Wonder Woman first came out, I stayed away because of all of the political nonsense surrounding it. I wanted for all of that to die down before I invested two hours in a movie that I did not have a lot of faith in to begin with. DC Comics has struggled to put together anything to compete with Marvel's Avengers universe, and I really did not think that this movie would be anything worth worrying about. Wow, was I wrong. I can tell you that, at least this once, DC really got it right. There were so many origin stories and plot lines for DC to choose from that I had no idea which way they would go with their Wonder Woman origin story. It turns out that the DC Justice League universe has a few common threads that will weave their way through all of the stories, and it all starts with this movie. You could probably throw away Batman V Superman and start your Justice League story with this movie. Actually, I would recommend that you do that and save yourself the time and agony of watching the disaster that is Batman V Superman. With Wonder Woman, DC shows glimpses of brilliance that might make us believe that it can compete with Marvel. Where Marvel has decided to give its movies a bright tone, DC has definitely gone dark with its movies. The tone and look of this movie is incredibly dark and the story is dark as well, but there is plenty of light throughout this production for people to grab onto. This movie looks like a good movie, plays like a good movie, and even ends like a good movie. DC probably overdid it a little at the end, just like it did with Batman V Superman, but this movie can take the extra pomp and circumstance. All of the political nonsense aside, Gal Gadot did an excellent job as both Diana Prince and Wonder Woman. DC has decided to go the route of making Diana and Wonder Woman the same person, as opposed to the polar opposites of a character such as Superman. It works in this case, and Gadot pulls it off very well. 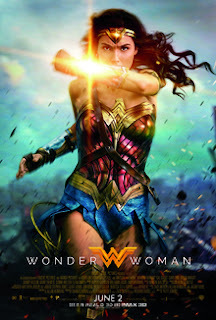 She shows the transformation of Diana from a naive island warrior to a superhero, and her performance is very convincing. I like Chris Pine as an actor, and he does not disappoint in this movie. The fate of Pine's character Steve Trevor shows that DC is in this franchise for the long haul, but I still think it could have been handled differently. Pine's performance was awkward when it needed to be, and then brave when it feed into the story. Pine threw himself into his role, and the chemistry between he and Gadot was obvious right from the start. As an origin movie, Wonder Woman does the job just fine. There are some plot holes along the way that never get resolved, but it is important to remember that this is a DC movie and plot holes are something DC is famous for. Still, the story holds together from start to finish and helps to set up Wonder Woman for her role in the Justice League. DC showed such a high level of competence with this film that I am now anxious to see Aquaman. This is a movie the entire family can see and enjoy, and it is definitely a movie built for a night at the drive-in. 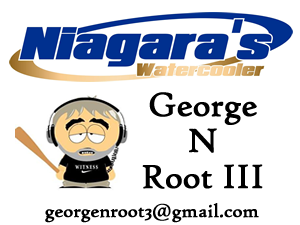 George N Root III is a movie fanatic who looks forward to a weekly night at the drive-in. Follow him on Twitter @georgenroot3, or send him a message at georgenroot3@gmail.com.